Royal Dutch Shell Plc failed to sell cargoes of Forties and Brent crude. 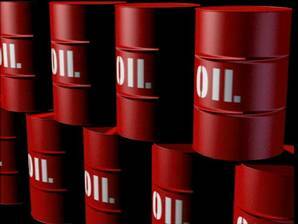 Nigeria cut official selling prices for its crude oil grades in June, including benchmark Bonny Light and Qua Iboe. Shell failed to sell a Forties shipment for June 8 to June 10 at a 85 cents a barrel more than the cash cost of North Sea crude in August, according to a survey of traders and brokers monitoring the Platts trading window. The company also didn’t manage to vend Brent crude at a $1 a barrel premium to Dated Brent scheduled for June 5 to June 7. Reported North Sea market activity typically occurs during the Platts window, which ends at 4:30 p.m. London time. Before the window, Forties loading in 10 to 21 days cost 51 cents more than Dated Brent, compared with 65 cents yesterday, according to data compiled by Bloomberg. Nexen Inc. will complete repairs to the cooling system at its Buzzard oil project in the U.K.’s North Sea by the end of this month, the company said yesterday. Rates at Buzzard will be limited to the equivalent of about 80,000 barrels of oil daily until the work is completed, Calgary-based Nexen said in a statement. Production will be ramped up to full capacity of 200,000 barrels a day by the end of July. A two-week turnaround at Buzzard scheduled for September has been realigned because of the cooling work. “Buzzard usually accounts for around 30 percent of benchmark-setting Forties production, meaning that the fewer volumes available will be both lighter and sweeter,” said analysts led by David Wech, head of research at Vienna-based researcher JBC Energy GmbH. “Normally this would result in strong demand for the crude, but buyers have been wary because of the possibility of cargoes being deferred to the following month or even dropped out of the loading program,” JBC said in a note today. Brent for July settlement traded at $110.51 a barrel on the London-based ICE Futures Europe exchange at the close of the window, up from $112.05 the previous session. The August contract was at $110.04, 47 cents less than July. Eni SpA failed to buy an 80,000-metric-ton cargo of Urals in the Mediterranean at a discount of $2.85 a barrel to Dated Brent for June 5 to June 9 loading, according to the Platts survey. The grade traded yesterday at $2.90 a barrel less than Dated Brent. In northwest Europe, Glencore International Plc withdrew its buying interest for a shipment at a $2.60-a-barrel discount. State-owned Nigerian National Petroleum Corp. cut its official selling price for benchmark Bonny Light and Qua Iboe crudes for June loading by 60 cents to a $3.20-a-barrel premium over North Sea Dated Brent, a price list obtained by Bloomberg News showed.